Thank you for this post. I think we ended up with a lot of the same opinions, especially about the PSTD, technology, and "battlefield" at the end. I'm glad you liked it, though. It's such a powerful series. Thanks for this, Ken. I've been wondering what all the hype was about. Still not sure if I'll give it a try, but it was a very informative post. Let me know how your daughter likes the book, maybe the monster will too. I read the series. Each book when they were fresh off the press. I'm big fan of the series. I haven't read any of the books you compared the series to, so to me, it was very original. Haha. One thing you didn't touch on, though, I'd like to point out. 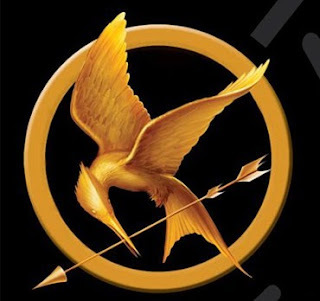 By the end, I think Suzanne Collins' message is about how vicious and cruel human beings are. And less of the obvious "war is hell" message. In the end of Mockingjay, Peeta actually says it flat out when he cried something along the lines of, "We'll all destroy each other. There will be nothing left." The book also ties in the concept of nuclear warfare. I think Suzanne used her books to address the issue that's threatening us all today.